Sierra Sentinel News- Serving The Sierra Nevada Communities: Missing 15 year old girl headed for Arnold?? Missing 15 year old girl headed for Arnold?? UPDATE: Girl has been located and man arrested. 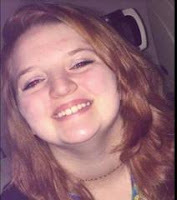 Samantha Roberts was last seen on May 27 around 9 PM. A back pack and some clothing is missing also. She may have been seen with an adult Caucasian male on Hwy 4 between Murphys and Arnold. Deputies are looking for video. The car shown was at the Shell station in Murphys, where it is believed she was last spotted. If you have any information please call the Sheriff at 754-6500. Callaway runs away with candidate donations!! Arnold man arrested on Birthday? ?